I have been looking for fitness themed postcards for a while but rarely receive one. 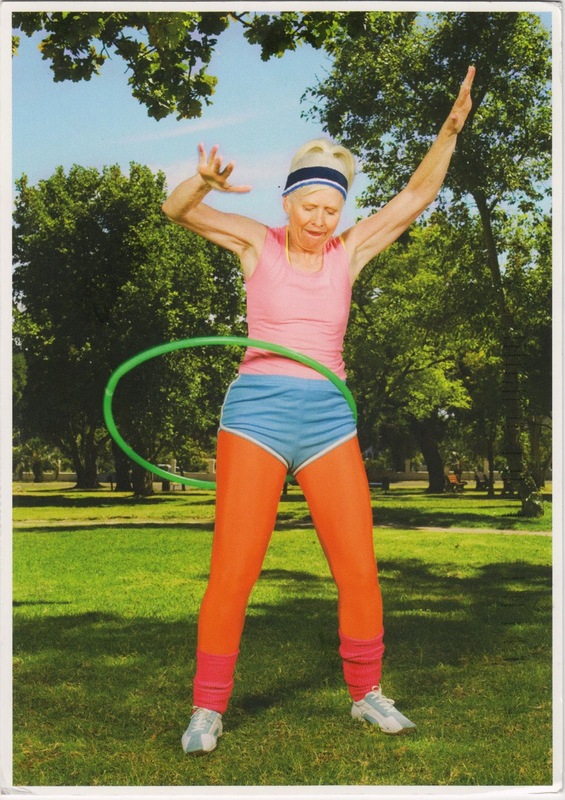 So I am extremely please to receive NL-2257435 from the Netherlands, showing a lady exercising a hula hoop. The modern hula hoop, which is twirled around the waist, limbs or neck, was invented by Arthur K. Melin and Richard Knerr in 1958. However, various hoops have been twirled, rolled and thrown around the world throughout history. Cirque Du Soleil shows have many hoop acts. The one from Quidam is unique and one of the best. Quidam is currently touring in London.